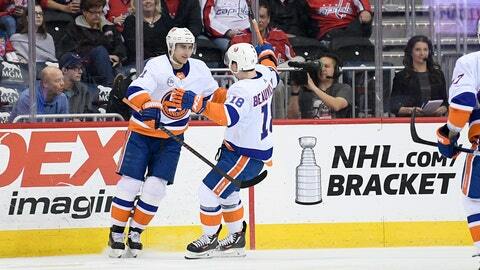 NOTES: Matt Martin scored an empty-net goal with 2:33 left to seal it. … Islanders D Johnny Boychuk was back in the lineup after being a healthy scratch Thursday. … F Dmitrij Jaskin played his first game since Jan. 17. … A pregame tribute was held on the one-year anniversary of the Humboldt Broncos junior hockey team’s bus crash that killed 16 people and injured 13.